Ashwin leads Course5 Intelligence. 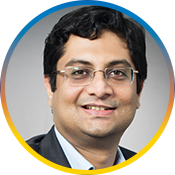 He has led and architected the growth of Course5 into the analytics, AI and insights powerhouse it is today. His vision is to have Course5 drive the culture of decision-making based on analytics and market intelligence in today’s increasingly flat world. 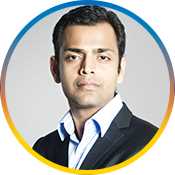 Ashwin has prior experience in strategy consulting. and in the corporate world in India and in the US. He has received several awards for individual and corporate excellence from leading global authorities and has spoken at global industry forums on driving business impact through analytics. Besides work, Ashwin is involved in various CSR activities related to children’s education and angel investing. He was one of the founder members of Mumbai Angels which was Indians first organized group of Angel investors and was an early investor in many leading companies in India’s tech eco-system. 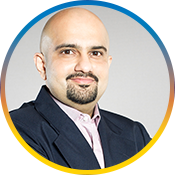 He is a member of the Mumbai chapter of the Young Presidents Organization and Entrepreneurs Organization. 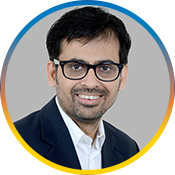 Ashwin is a Chartered Accountant with a Master’s degree in Commerce and holds a Master of Business Administration from the Anderson School at UCLA and London Business School. He is the President of the Mumbai Alumni chapter of UCLA Anderson. Anees leads the Digital and Insights business and brings over 22 years of experience to Course5 Intelligence Pvt. Ltd. He has worked with numerous global Fortune 500 clients across various industries, including Retail, Travel and Hospitality, Telecommunications and Technology, Media and eCommerce. Recently he was recognized as 40 under 40 by a premium India publication house to honor his digital initiatives. He co-authored a book with 17 other esteemed Industry Leaders in Partnership with Wiley – Black Book on Exponential Technology. In his tenure, he has worked with clients to drive impact on their business by enabling them with innovative AI led solutions and practices. At Course5 and in his previous organizations he has launched award-winning and industry-recognized practices and solutions. He is currently focusing on leveraging artificial intelligence to disrupt the space of digital and insights. Anees is also certified on Lean Six Sigma with an MBA from NMIMS, Mumbai. 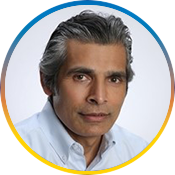 Ajith has over 21 years of experience in analytics, market intelligence and business consulting, and manages delivery for Course5’s analytics and insights businesses leading a team of over 500 analysts. 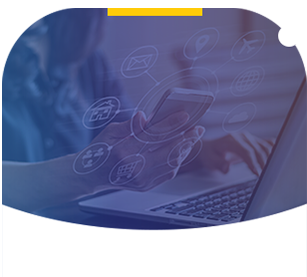 Ajith focuses on building world class delivery teams that provide lasting business value to Course5’s clients by bring in cutting edge technical skills, deep domain expertise and client services skills. Over the years he has been successful in working consultatively with Fortune 500 clients to assess their business challenges and then develop the right solutions for them leveraging people and advanced technologies. Prior to Course5, Ajith was the Head of Software and Services Research at IDC India, a Senior Consultant with Deloitte, and managed the business consulting team at MCG. Ajith has a Bachelor of Technology degree in Mechanical Engineering and an MBA in Marketing. He is a Certified Management Consultant (CMC), a certification awarded by the Institute of Management Consultants India, a member institute of International Council of Management Consulting Institutes (ICMCI). 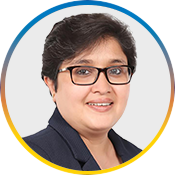 Suchitra has over 15 years of experience and brings solid business acumen and consulting expertise to Course5 gained during her previous assignments at Infosys, NuWare, neoIT, and most recently Manthan Services. She has a strong background in life sciences and co-founded StrataPRO Analytics and Consulting, a consulting firm engaged in providing strategy-driven decision support to pharmaceutical and biotech companies. Suchitra has a Master of Business Administration from Louisiana Tech University. Joseph Sursock is a highly knowledgeable and progressive sales and marketing professional with over 20 years business experience. 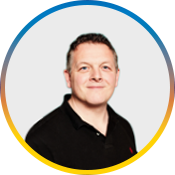 As Senior Vice President of Course5 , Joseph is responsible for strategies and growth for the company’s solutions in omnichannel marketing, customer and market intelligence, and big data analytics across Europe. As a strategic manager working with enterprise solutions in leading vertical industries, Sursock previously led multi-region business units in both software and services organizations. He has delivered complex, process-based solutions in areas such as marketing analytics; customer relationship management; ecommerce management; competitive benchmarking and analytics for Retail, eTail, Technology, and FSI; higher value process outsourcing; business systems application development; Anti Money Laundering (AML) for banking and telecommunications; and intelligence-based investigation solutions. Most recently, Joseph continues to support FTSE500 clients with their digital transformation programs. He comes with a multi-cultural background, can speak several languages and holds a Bachelor of Science from Leeds University and an MBA from Bradford University School of Management. 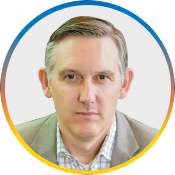 David McBride is a 13-year veteran of the analytics industry, having held analytics leadership roles in media, retail, technology settings. David is passionate about helping companies achieve growth through data-informed customer relationships. He has led analytics teams at Comcast and American Eagle Outfitters and has created customer analytics products at IBM and Intel. David is a frequent speaker and event organizer. He holds an MBA from The Anderson School at UCLA. 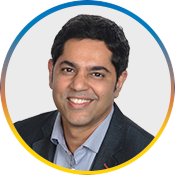 Venu is a senior leader with a global outlook and has extensive experience in sales, marketing and operations having worked across geography’s including India, South East Asia, Europe and US. He is now based in Lake Mary, FL, and has been responsible for Course5’s business development and managing part of client relations in North America for the past 10 years. Kumar led the early growth of Course5 as the Group CEO for over a decade, prior to taking up the advisory position of Chief Evangelist. 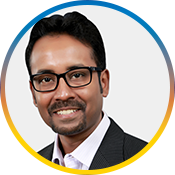 Prior to joining Course5, Kumar worked with Microsoft for over 13 years in a variety of leadership roles in Market Research, Competitive Intelligence, Corporate Alliances, Business Management, Strategy, and Finance. As one of the earliest market researchers within the software industry, he has helped shape how research is conducted within the technology marketplace. He was one of the first individuals in the world to study the impact of the Internet on consumers and businesses and collaborated on some of the ground breaking research studies on the evolution of the Internet. Over his career span, Kumar has directed over a quarter billion dollars of market intelligence and research. He is passionate about the role market intelligence and analytics can play in shaping businesses and has spoken frequently about market research transformation at a number of events. Kumar has a Ph.D. in Pharmaceutical Socioeconomics from the University of Iowa and is based in Seattle. 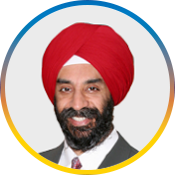 Mohanbir Sawhney is a globally sought consultant and speaker on Enterprise Analytics, Technology, Innovation, and Marketing. Sawhney is Director – Center for Research in Technology and Innovation and McCormick Foundation Professor of Technology at the Kellogg School of Management. Professor Sawhney’s consulting and speaking clients include Accenture, Adobe Systems, AT&T, Boeing, Cisco Systems, Dell, Entergy, Ericsson, Fidelity Investments, GE, General Mills, Honeywell, Intuit, and others. His research has been published in leading journals including Harvard Business Review and MIT Sloan Management Review, and he has written several books, of which the latest on Analytics-driven decision making titled ‘The Sentient Enterprise: The Evolution of Business Decision Making’ was on the Wall Street Journal bestseller list. Sawhney is a Fellow of the World Economic Forum and an advisory board member of Chicago Innovation. He is an award-winning educator and a Distinguished Alumnus of the Indian Institute of Management, Calcutta. 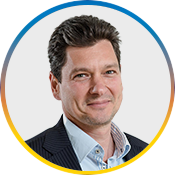 Dan Foreman, market research leader and ESOMAR past president, is Course5’s Non-Executive Director and Advisory Board Member. Dan supports the company with strategy, growth, sales, and marketing. Dan is an industry veteran who has been building businesses across North America, Europe, and the Asia-Pacific region for over 20 years. He specializes in emerging technologies and developing markets, having helped organizations grow from incubation to multi-million dollar revenues. 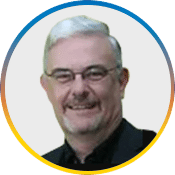 He holds strategic advisory positions in several organizations and is the current ex officio Past President for ESOMAR. Dan was also awarded the prestigious AMA 4 Under 40 award in 2013, and most recently, the Industry Change Agent of the Year as part of the 2016 Next Gen Market Research Awards from the Next Gen Marketing Research Group and WIRe (Women in Research). He holds a Bachelor of Science in Psychology and Mathematics from University of Leicester in the United Kingdom. Simon has over 35 years of experience in the research industry, and has led research companies in Europe and the United States, most recently as the global CEO of NOP World. He is an acknowledged industry leader, author and conference speaker. He founded Cambiar in 2004 with the aim of providing strategic assistance to research companies as they confronted rapid and fundamental change in the industry. Simon is a Fellow of the Market Research Society. He holds an MA in Philosophy, Politics and Economics from Oxford University, England, and has done post-graduate studies at both Columbia and Harvard business schools in Change Management and Strategic Management. Simon advises Course5 in the areas of – corporate strategy, business development, specific client engagements, and process improvement.